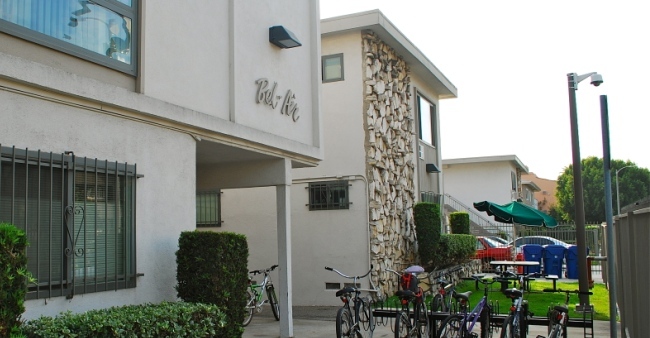 Bel-Air is a small apartment building with one- and two-bedroom for married students and families. The one-bedroom units are a great option for married couples with one child. The two-bedroom units are reserved for families with two or more children and are in high demand. 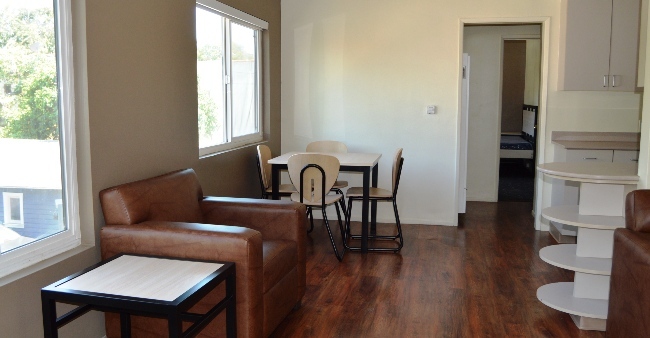 Both room types feature recently remodeled kitchens and bathrooms and living room air-conditioners. 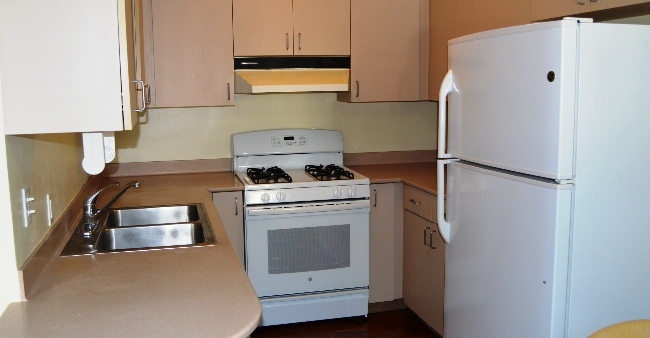 All apartments have full kitchens and bathrooms and an air-conditioner in the living room. Bel-Air fosters a safe, communal atmosphere for families. Children can often be found playing in the building's central courtyard. For the 2019-2020 school year, residents of Bel-Air will have an a Full Year, 12 month, contract from early August to late July. Bel-Air will be closed for required renovations during the summer of 2019. Contracts will end on May 9, 2019 and all residents will need to move out by that date. The building will be undergoing structural and cosmetic upgrades during the summer of 2019 and will reopen with unique features tailored to the needs of family housing residents. The building has a small carport in back. Parking permits are obtained from USC Transportation. 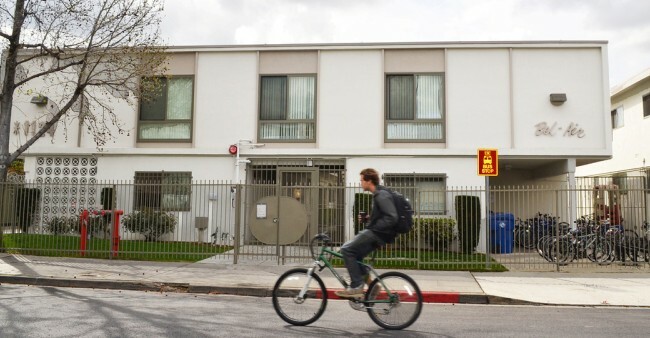 Bel-Air is block north of the new USC Village complex and just a five to ten minute walk to campus.